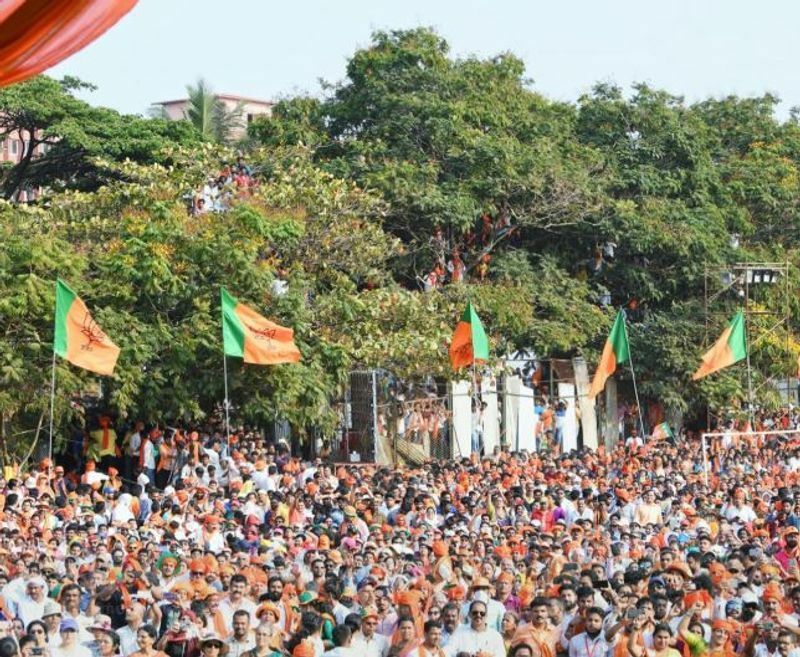 Prime Minister Narendra Modi's rally in south Bengaluru saw a lot of high attendance. 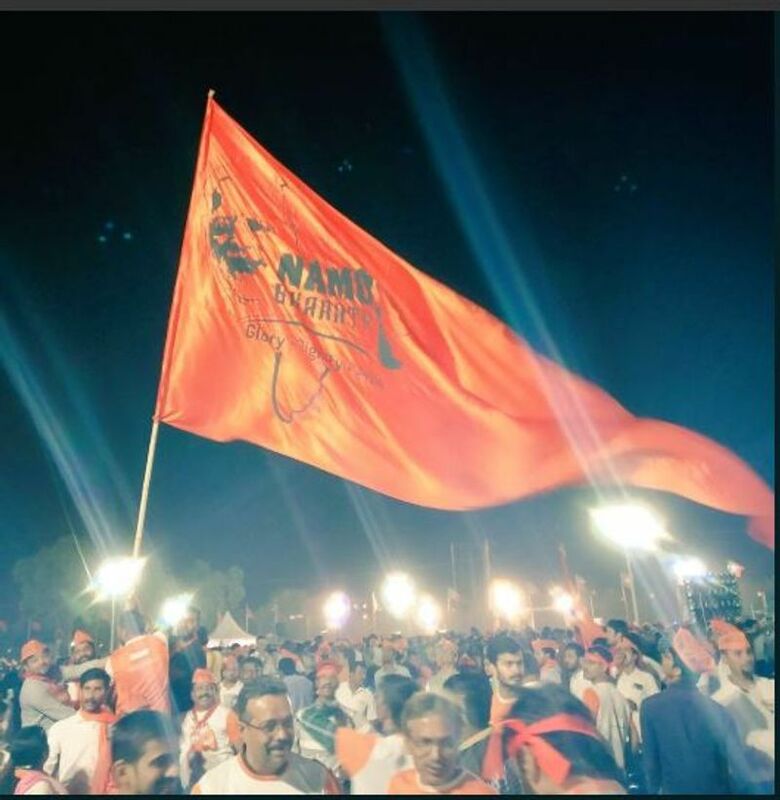 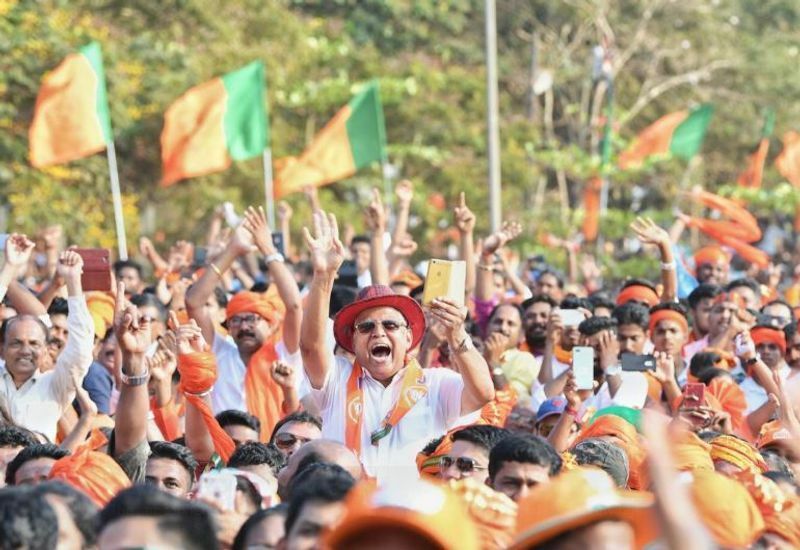 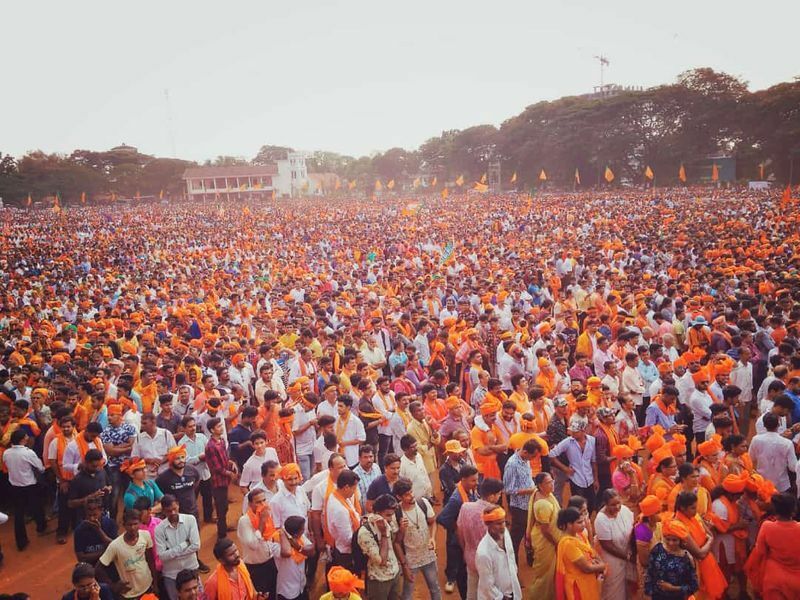 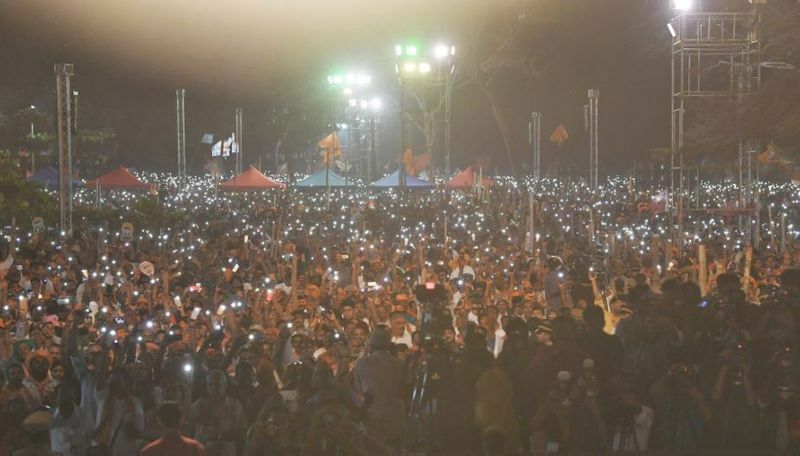 More than 80000 people came for the rally with many clad in ‘Modi Maththomme’, ‘Naanu Chowkidar’, ‘NaMo Again’ T-shirts, caps and bands. 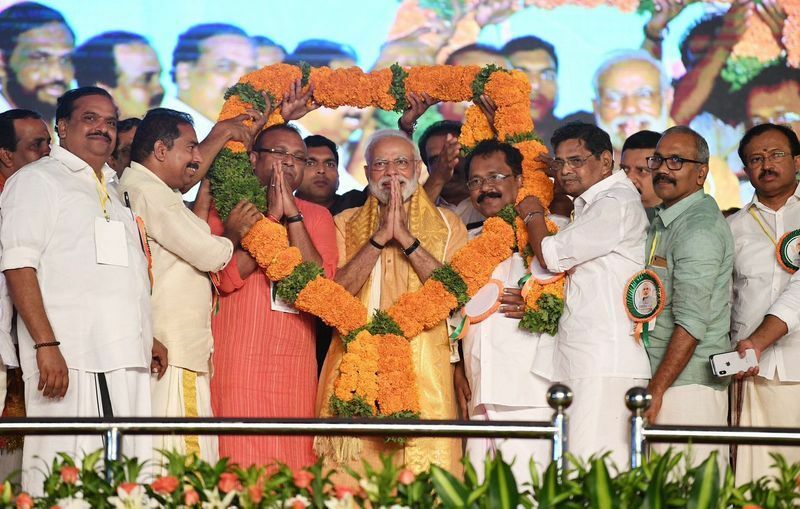 Halfway through the train, Modi accepted the greetings of the people. 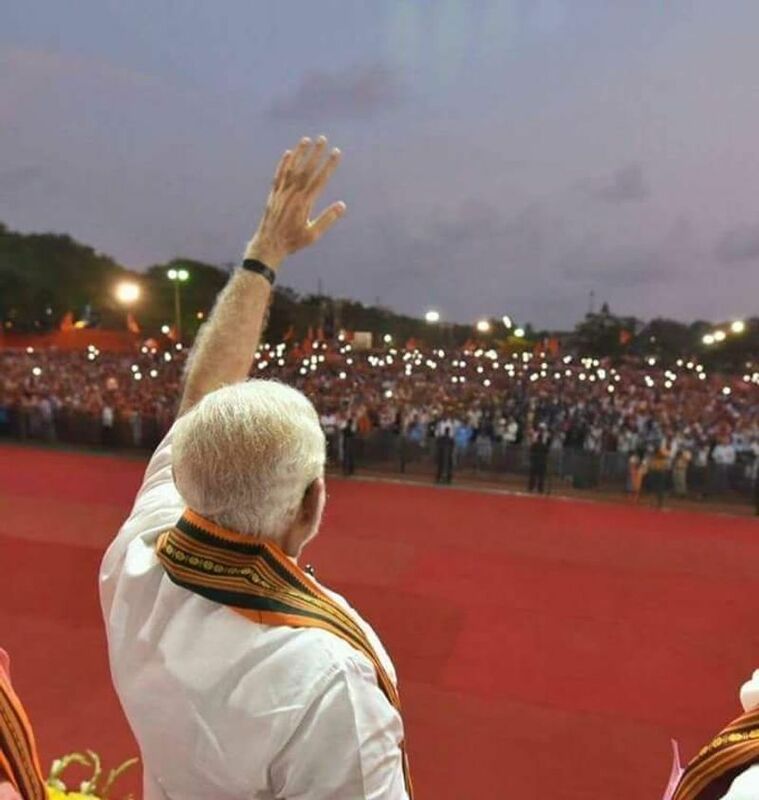 PM Modi was seen greeted by people on the narrow streets of Bengaluru, without worrying about safety and going out of the car.